This entry was posted in New products on 30/09/2011 by Brickwerks. 16" Syncro rear brake drums now in stock. This entry was posted in New products on 27/09/2011 by Brickwerks. Simons Westy Atlantic featured in camper and bus. Well pleased with the outcome! This entry was posted in News on 14/09/2011 by Brickwerks. 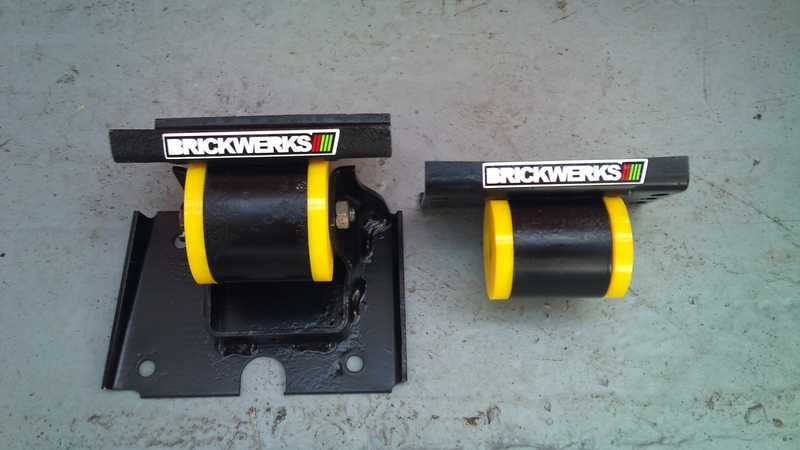 Prototypes arrived today of our new Polyurethane gearbox mounts. 2 versions, to cover all T3 models. As a solution we've commissioned these. We've had them made in 2 pieces with a stainless steel sleeve through the middle. Cheaper as you can re-use all the original metalwork, and a good upgrade in polyurethane. This entry was posted in prototypes on 07/09/2011 by Brickwerks. To compliment the Black Diamond discs we currently stock, we now have Fast Road pads from the same company. The fast road compound makes them more suited to "spirited" driving. We have a couple of trial sets, which we'll have at Vanfest this weekend. Available as "special order" at the moment, if they prove popular we'll keep them in stock. This entry was posted in New products on 06/09/2011 by Brickwerks. 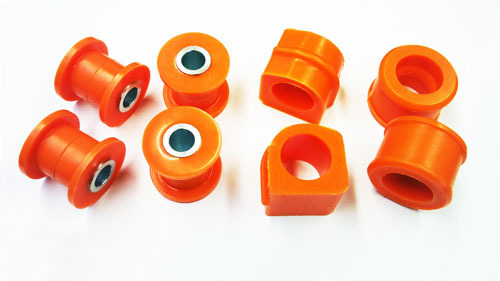 Just landed today, first prototypes of T4 Transporter Polyurethane bushes. At the moment Ant Roll Bar, Steering Rack, and Drop Link bush kits. This entry was posted in prototypes on 06/09/2011 by Brickwerks. Were busy getting ready for Vanfest... there is now an option on the webshop for Vanfest Collection... place your order, select the Vanfest Collection option, and pick it up from our stand. Applies to items we hold in stock. Cutoff for Vanfest collection orders is Wednesday 7th September. This entry was posted in Uncategorized on 01/09/2011 by Brickwerks.